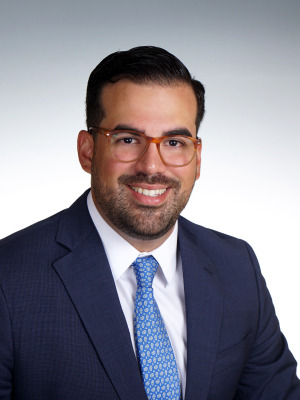 Learn more about Erick Pardal and his specialty & passion for Coral Gables, FL real estate and surrounding neighborhoods. Erick Pardal grew up in Miami, FL, son of Cuban immigrates he was raised to fulfill "The American Dream". He is a proud Florida International University alumni, where he successfully earned an International Business & Management Degree. Erick presently resides in the City of Coral Gables with his Fiancé. His early life background experience has allowed him to cultivate strong negotiation skills, great customer service and most importantly close relationships with his life long clients. 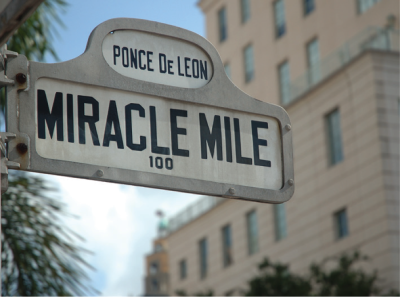 His forte and passion lies in Coral Gables real estate and the markets surrounding this area. If you are in the process of hiring a real estate professional to represent you as your listing agent or buyer agent Erick is confident he can offer you the knowledge and tools most agents can't. Erick's mission is not only to get the job done but to over exceed his clients expectations with dignity, respect and professionalism. Founded in 1964, EWM Realty International (EWM) is one of the largest real estate services firms in America. We have 10 locations spread through Miami-Dade and Broward counties. EWM’s 800 associates and staff members offer residential and commercial real estate services, corporate relocation, and international services, as well as home mortgage and title closing services through affiliated companies HomeServices Lending, LLC and Columbia Title of Florida. EWM’s annual sales volume exceeds $2.6 billion. 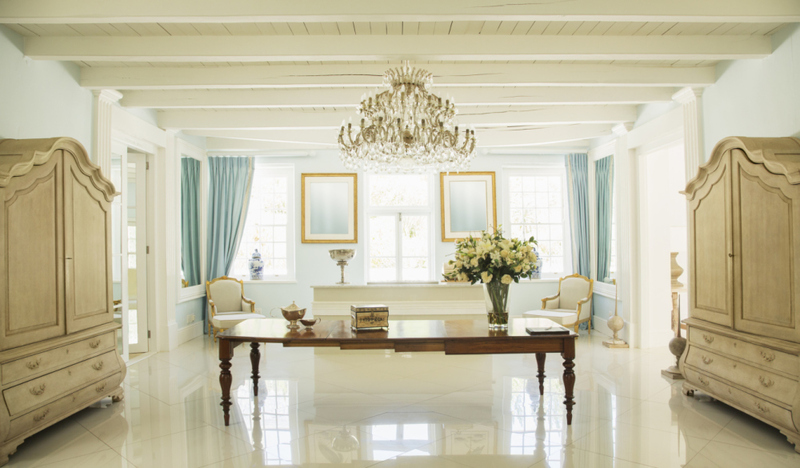 EWM is the exclusive Miami-Dade and Broward Counties affiliate for Christie’s International Real Estate, the leading and largest network of luxury, independent, real estate firms in the world, and a subsidiary of Christie's International PLC, the London-based art auction company founded in 1766. With more than 32,000 real estate professionals operating from 46 countries, the affiliate members of Christie’s market the finest residences around the globe. 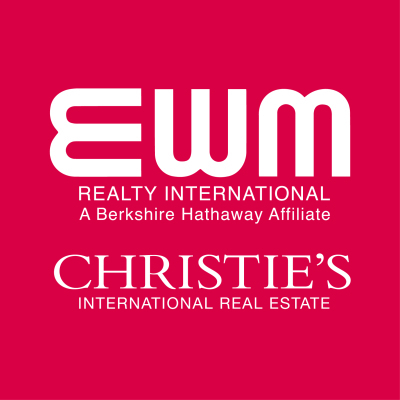 In addition to Christie’s, EWM is a principal owner of the Leading Real Estate Companies of the World, the nation’s largest real estate referral network, comprising more than 500 real estate firms and 120,000 associates marketing residential properties in 50 countries. 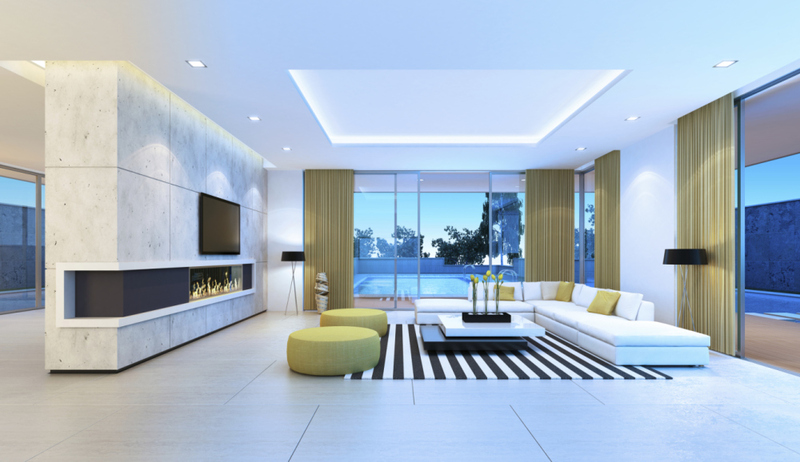 Through joint alliances with their member firms, Leading RE provides home buying and selling services to families and individuals relocating throughout the world. EWM is also a member of the luxury division of Leading RE, Luxury Portfolio, which is a collection of 200 firms focused on the marketing of luxury properties throughout 50 countries. EWM is a wholly owned subsidiary of HomeServices of America, Inc., a Berkshire Hathaway affiliate. HomeServices is the second-largest full-service independent residential real estate brokerage firm, and the largest real estate settlement services provider, in the US. Through its affiliation with HomeServices of America, EWM is part of a real estate family of 20,000 sales associates spanning 21 states. Coral Gables & Coconut Grove. Search EWM Realty International Properties. 3/2/1 2,365 Sq. Ft Sold for $1,057,500. Based on MLS Data. 3/3/1 2,401 Sq. Ft. Closed at $960,000. Buyer Agent Sale. Our team at EWM consist of members with over 50 years in the real estate business. Not only is our experience valuable, our professionalism is the key to our success. I have a quality & quantity list of prospective buyers and have the ability to target the high-end clientele with precision. Access to local and international buyers worldwide through our Christie's International Realty & other affiliation. My goal is not only to sell your property as soon as 30-90 days but to have it sold at the highest possible market price. 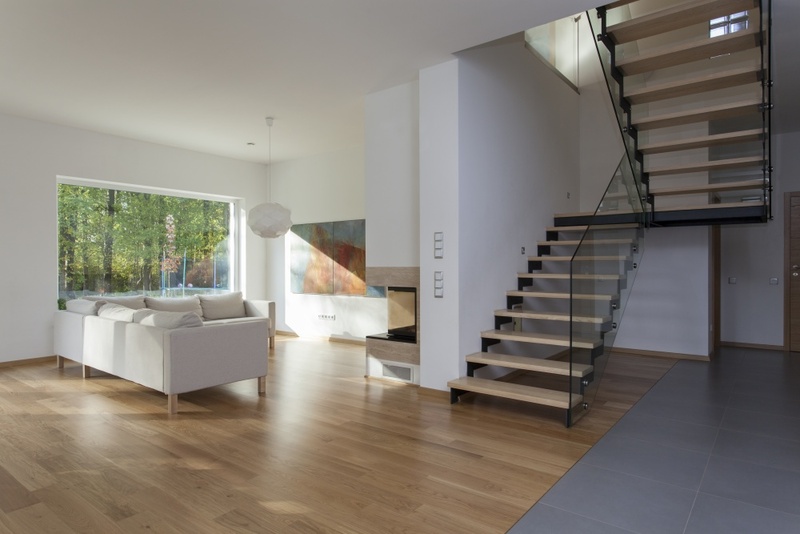 Customized online strategy for your property, professional photography & marketing media for qualified homes. EWM is rated #1 luxury brokarage for 2015 and 2016. Exposure in Zillow.com, Realtor.com & Trulia.com Included. Print & Mail Marketing Campaign. Exclusive Open House & Brokers Open events to our clients & brokers. well as the highest quality service available. 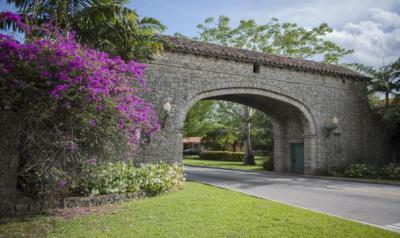 If you are looking to sell or rent in Coral Gables or Coconut Grove area. I CAN HELP YOU!" WE WOULD LOVE TO FIND YOU A HOME. LET'S GET STARTED! The above featured video by miamiandbeaches.com gives a quick glimse on "The City Beautiful". Mitchell Kaplan owner of Books and Books; a wonderful cozy book store located on Aragon St. close to the 1939 Historic Police and Fire Station now currently the Coral Gables Museum narrates intriguingly. He shares a few of the best parts of towns and highlight some city history. Below I share a few of my favorite places around town, enjoy. 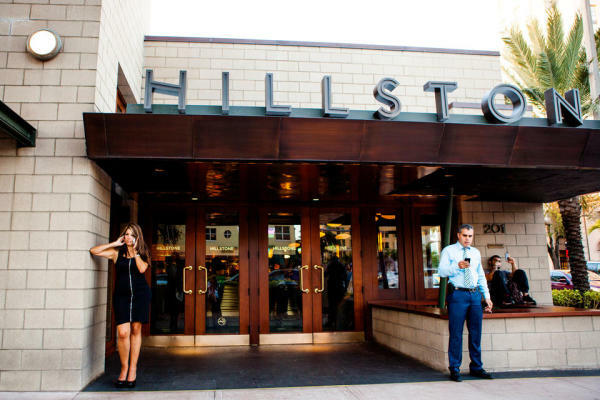 DINING: Hillstone, previously Houston’s is the most popular bar and dining spot on Miracle Mile. This is a local favorite happy hour spot, it's always packed with interesting people. My favorite food recommendations would be their mouth watering fall off the bone Campfire BBQ pork ribs, coco shrimp sushi roll, spinach dip, and their famous French dip sandwich. 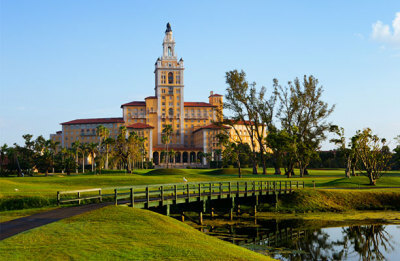 HISTORICAL: The Biltmore Hotel, this 1920's beauty was not always the magnificent hotel it is today. Like the American people of its era, It went through the days of glory even suffered during the times of war. The hotel's history is felt just walking through the property. 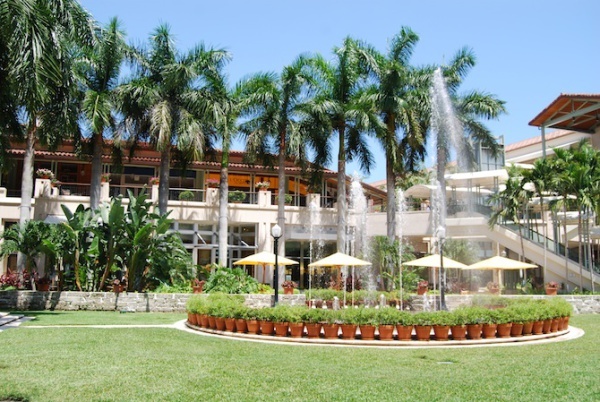 The hotel offers discounted room rates for Coral Gables residents. Sunday brunch is spectacular. If your favorite sport is Golf, the Donald Ross Golf Course is open to the public. 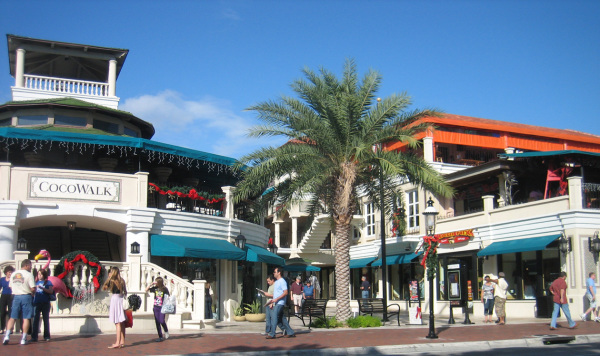 SHOPPING: Village of Merrick Park, this outdoor mall is by far is the most luxurious and enchanting mall in Miami. It offers an array of high-end stores and boutiques along with many dinning options. Whether you are in the mood to burn some plastic or just would like to relax and enjoy a cup of coffee, this is the place for you to visit. 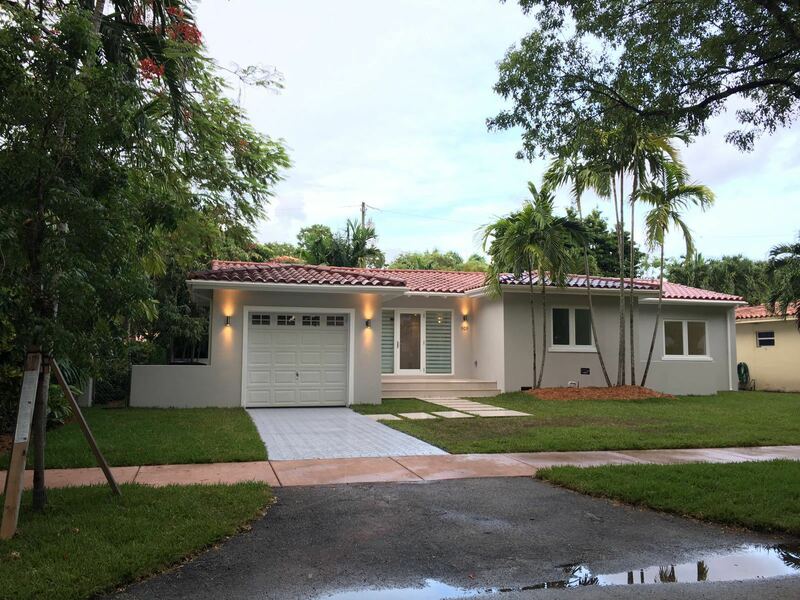 "This historic neighborhood, often referred to by locals as “The Grove,” has roots dating back to the 1800s and is one of the oldest continuously inhabited areas in South Florida. Characterized by lush scenery, bayside views and a laid-back atmosphere, Coconut Grove is located south of the Brickell neighborhood and east of Coral Gables. 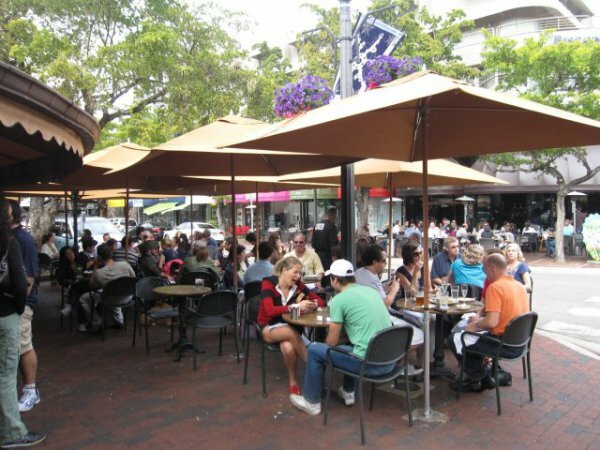 It’s a pedestrian-friendly area that features outdoor cafes, eye-catching boutiques and a vibrant nightlife. Directly serviced by the Metrorail and bordered by LeJeune Road, Coconut Grove is home to The Barnacle Historic State Park and The Kampong tropical garden. 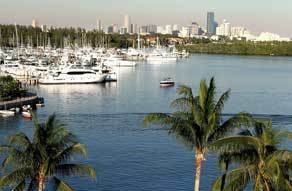 Coconut Grove’s ideal location on Biscayne Bay also makes it a popular destination for boat enthusiasts." -EWM Realty International. 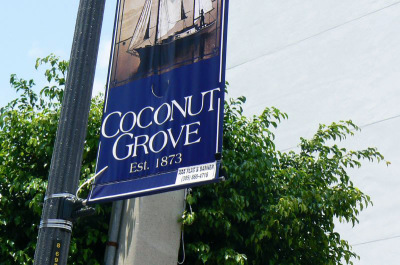 The above featured video by miamiandbeaches.com gives a short insight on the layback city of "Coconut Grove". The "Grove" is all about enjoying and relaxing 24/7, the ammenities it has to offer makes it wonderful to do so. Below are few of my favorite city highlights. 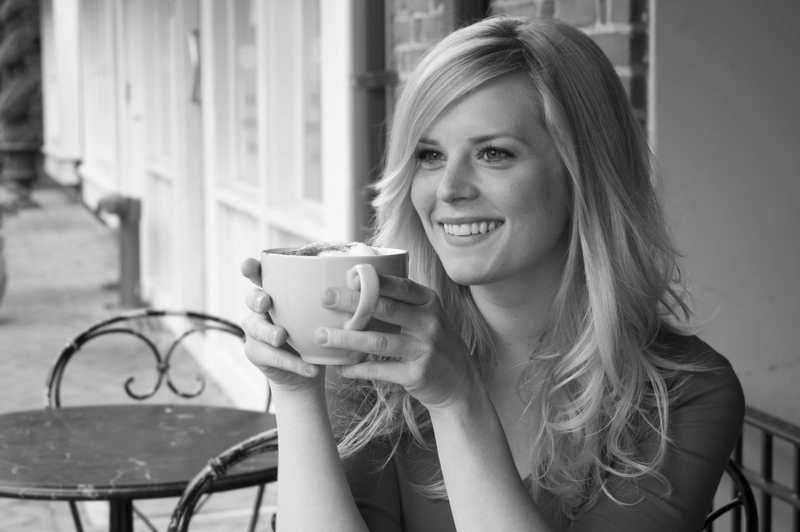 DINING: GreenStreet Cafe, this is a local favorite spot for Sunday brunch. Most of the restaurant offers outdoor seating, so it's very easy to enjoy the delightful Miami weather. Must tries are the "Nutella French Toast " and "Goat Cheese and Tomato Omelets". Monday's they offer 1/2 off bottles of wine and on Wednesday’s also know as "Whiskey Wednesday" is 1/2 off all whiskeys and including bottles. 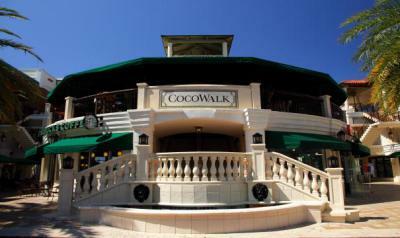 SHOPPING: Coco Walk, this is a small mall that features a full movie theater nice to come with the family. It doesn't offer many stores but offers just enough to find what you need. Try Harry's Pizzeria, it's amazing; afterwards make sure to walk next door for the best coffee in town and newely opened location Panther Coffee. 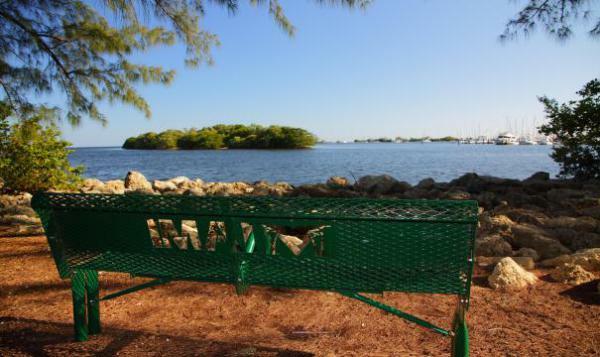 RECREATION: Kennedy Park, this is one of five parks in Coconut Grove that are bayside. This one happens to be my favorite one, mainly because you get to cool down and enjoy a nice moist ocean breeze while relaxing , the fact its pet friend is a major plus. The park offers two fenced sections to let the furry children play. One section is for large dogs and the other for small dogs.